When you've been exercising and watching what you eat, it can be frustrating to struggle to lose stubborn fat on our stomach and other trouble areas. Southeast Sculpting + Rejuvenation in Fort Mill, South Carolina, provides CoolSculpting® fat-reduction treatments to help you eliminate unwanted fat. Call this CoolSculpting-certified practice, or request an appointment online today. 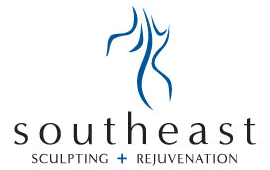 If you need help reaching your body goals, talk to the team at Southeast Sculpting + Rejuvenation about CoolSculpting. CoolSculpting delivers precisely controlled cooling to target and kill your unwanted fat cells. The technology freezes your subdermal fat cells without damaging your skin or other surrounding tissues. As the temperature of the fat cells decreases, the cells crystalize and effectively die. Over the weeks following your CoolSculpting procedure, your body absorbs the damaged fat cells and eliminates them from the body with its other waste products. CoolSculpting provides long-term, noticeable results. As long as you maintain a healthy diet and weight, you can retain a slimmer and more toned appearance. CoolSculpting is most effective if you are close to your ideal body weight but struggling to lose the last few pounds or pockets of exercise-resistant fat. It is not a replacement for a healthy lifestyle, sensible diet, or exercise. You should also be in good health overall. The team at Southeast Sculpting + Rejuvenation offers complimentary consultations to determine your goals and develop a treatment plan specifically tailored to your needs. They will answer any additional questions you might have during the consult. While you may be happy with a single CoolSculpting treatment, your provider may recommend a series of treatments to achieve optimal results. CoolSculpting is a noninvasive outpatient procedure. The treatment takes between 35-60 minutes per area, depending on how many areas are targeted during your visit. You rest in a comfortable chair or spa bed while your provider straps the CoolSculpting applicators to your body. You will feel a cooling sensation, and most patients report that after 5-10 minutes, they’re numb and can’t feel anything. You can read, watch television, catch up on your emails, or even nap during your procedure. After your treatment, you can resume your regular activities. With no anesthesia and no surgery, there is no downtime. Still, the results will rival those of liposuction. Southeast Sculpting + Rejuvenation has the newest and most complete set of CoolSculpting applicators, which allows them to target all areas and reduce treatment times. Dual sculpting halves the treatment time. Call Southeast Sculpting + Rejuvenation or request an appointment online today to find out how CoolSculpting can help you achieve that slim and toned figure you’ve been working hard to achieve.